Only pure Portland cement is used in our concrete to improve durability and structural integrity. 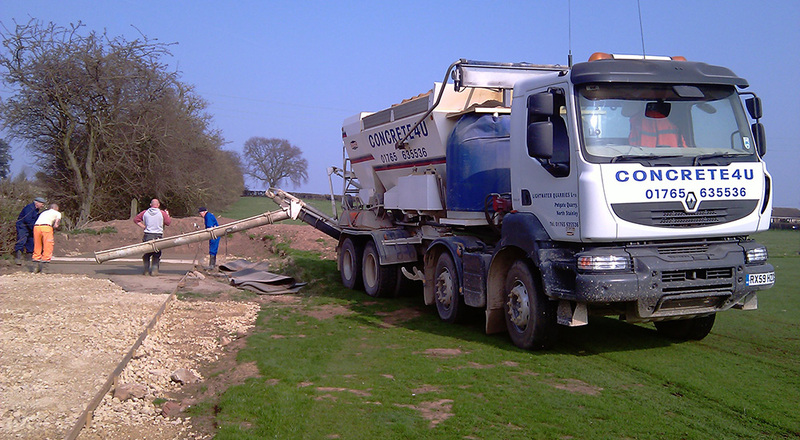 We can mix on site and even offer night work and out of hours delivery and concrete mixing throughout North Yorkshire. There is always ready mix concrete, of course, pay for what you use. 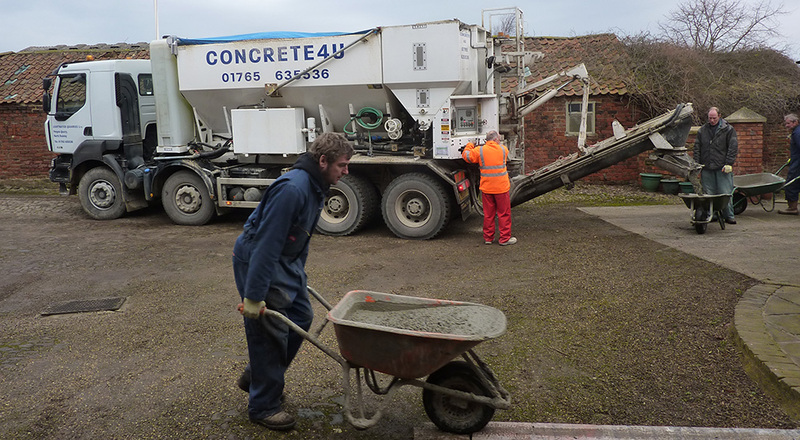 We will deliver what you need using our volumetric concrete service and mini mix drum. We can keep your project on schedule right through the winter months with high quality BSI accredited concrete. When traditional concrete plants freeze in the winter we can still offer our customers a reliable service, because we mix on site we can load up with fresh aggregates, keep our wagons warm overnight and run them out to site to meet our customers’ needs.